The 12th edition of the Indian Premier League kicks off in Chennai with CSK hosting Royal Challengers Bangalore. The Bengaluru side are looking to break their jinx at Chepauk and also their duck in the titles won column. With Quinton de Kock traded to Mumbai Indians, Parthiv Patel is set to be RCB's opener and wicket-keeper. The 34-year-old did well last season and a lot would be riding on him this season to provide the team with solid starts. Rumours suggest that RCB are going to try and experiment this season with the openers and have Moeen Ali open with Parthiv. The Englishman is set to be used mainly as a batsman as they already have enough bowlers. Virat Kohli will be playing in his favourite position again as he has done with the Indian Cricket Team. With the World Cup coming up, this would be a good chance for him to get some good minutes under his belt before heading to England. AB de Villiers has been in good nick recently but his form at Chepauk hasn't been great. He has 2 scores of fifty plus but in the other games, he hasn't been too impressive. Shimron Hetmyer is set to make his IPL debut against CSK and all eyes will be on him. Given his form in the India vs West Indies series, RCB fans will be excited to see how he fares and hope that he can help them win at Chepauk finally. Another debutant for RCB is likely to be Shivam Dube. The youngster is an exciting prospect and was in high demand at the IPL auctions. He might just be the one to fill the hole in RCB's middle-order. The match might be played at CSK's home ground but RCB are the ones who have the player with the most experience at Chepauk. Washington Sundar will be one of the first names on the team sheet as he knows the pitch well. The other spinner RCB will be going in with is their talisman Yuzvendra Chahal. In the fast bowling department, Tim Southee, Umesh Yadav and Mohammed Siraj are expected to be their choices. 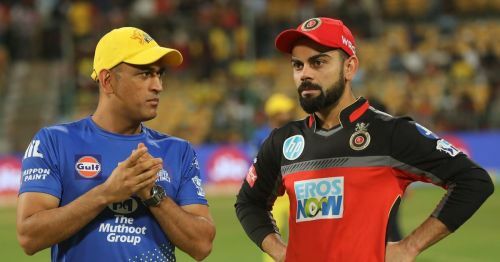 Our tournament homepage has IPL live score, Match Analysis, Detailed Stats, Fantasy Tips, Controversies, Match Predictions and much more. Bookmark it now!